Colleges and universities looking to drive international enrollments without sacrificing quality should look to starting and strengthening their in-house Intensive English Language Programs, but be prepared to invest for the long-term. Every fall, about two dozen students come to Green River College in Auburn, WA from a partner high school in Hefei, central China. They come here to get a shot at achieving admission into a highly ranked American university. Their chances of a similar result in China are next to zero. The US—with a quarter of the population of China—has far more world-ranked universities than China offers. For students whose families can afford study abroad, the math is compelling. Direct admission to competitive American universities is very difficult for most students from overseas. Students at American university prep schools abroad, which often feature IB curricula and/or AP classes, have a big advantage because their curricula include preparation for SAT/ACT and TOEFL, the international English language test. For students studying for the national university admissions exam (called “gaokao” in China), it is much more difficult. Prepping for the national exams leaves no time for additional prep in English and SAT/ACT. Such students usually can’t qualify directly for even relatively non-competitive US universities, much less the schools of their dreams. 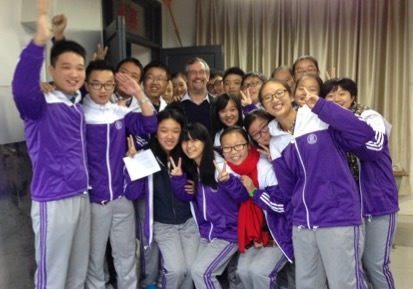 For Green River’s Hefei students, and hundreds more like them, the Intensive English Program (IEP) is the answer. Students start in the English program, progress into the credit-bearing academic program when they finish IEP, and then transfer to a higher-caliber university than would have accepted them directly from their home country. The IEP is the first stage of a booster rocket to universities like UC Berkeley, Washington, Ohio State and many other highly ranked institutions. Stage one: IEP. Stage two: the two-year associate degree. Stage three: two years at the transfer university leading to a bachelor’s degree. There is often a big gap between international students’ aspirations and their qualifications. There are a number of ways students can close the gap. Many students study at test prep schools overseas, particularly in countries like China. 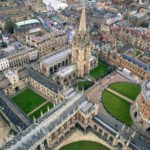 British and Australian institutions have long offered foundation programs, which provide both English instruction and some academic content. Pathway programs are relative newcomers to the market. They combine the foundation concept with aggressive marketing, and package a prep-to-bachelor’s degree experience to mid-major universities. Language schools such as EF, ELS and Kaplan provide college prep English and standardized test training. US institutions can capture this market on their own by establishing and strengthening in-house IEPs. It is a way for them to both increase their international student enrollment and better prepare students for success in their matriculated programs. Like foundation programs, many IEPs now offer some college level classes in the higher levels of their IEPs, often in a format in which the English content is tied specifically to the academic classes. They also generally prepare students better for college success than test prep programs, which often produce students who can ace tests but lack practical day-to-day English skills or an understanding of the American higher educational system. Establishing an IEP is not an easy task. There are many factors to consider. One, it is likely to be several years before a new program breaks even. The institution will need seed money for investment and patience. Two, institutional ownership of the program must be established, which itself is likely to dictate how the program works. Some institutions extend their immigrant-focused ESL programs to international students. That avoids having to build a new program from scratch, and can reward the program with a stream of international student tuition. 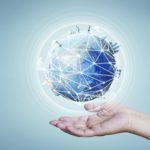 Educationally, however, the language skills immigrants and refugees need and those required by international students seeking university degrees is quite different. Most institutions, therefore, separate immigrant ESL from their IEP. Establishing the handoff point from IEP to the academic program can also be an issue. 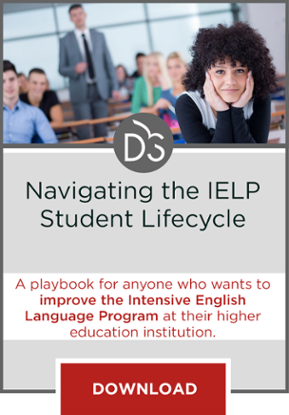 The simplest way is to allow students who graduate from the exit point of IEP to go directly into the academic program, without TOEFL or any other form of qualification. The IEP curriculum can contain preparatory elements specifically tailored to the academic program its graduates will enter. Failing that, the IEP becomes essentially a standardized test-prep program with much less connection to the academic program it is ostensibly preparing its students for. Institutions may decide not to start their own IEP, but invite a private English chain school or a pathway program to come to campus instead. The advantages are getting a large cohort of tuition-paying international students on campus quickly, ready to enter the matriculated program with (hopefully) the needed qualifications, with no marketing costs required by the institution. The disadvantages include lack of control over the quality of the students enrolled, lack of control over the program itself, and the growing pains the infusion of a big new cohort group inevitably brings. A good IEP program, whether homegrown or imported, should accomplish two basic goals. One, it should increase revenue to the institution, a pressing need for virtually all colleges and universities worldwide. Two, it should prepare students to be successful in the programs to which they flow. It must be recognized that there is a fundamental dynamic tension between these two goals, and that without student success, no program can (or should) succeed. Evaluation elements include the grade point average of students in the academic programs, the pass or retention rate in the program itself and anecdotal data from instructors and students in the academic program. As an example of the latter, we recently arranged a visit of an IEP student into an academic class in her major to see what it was like. The instructor made this comment: “I love her enthusiasm. I hope the class was a reality check for her language skills. You guys do a marvelous job of helping students reality test while supporting their dreams!!”. 1. IEPs can substantially increase international student enrollment. The number of students in the program itself, and those in the academic program it feeds who would otherwise not qualify, can be very significant. At Green River, approximately half of all of our 1,700-plus international students start in the college’s IEP. 2. IEPs come in many forms. As noted above, IEPs can consist of locally developed standalone programs, adaptations of immigrant-based ESL programs, private language school chains or pathway programs. 3. Building or contracting an IEP is not for the faint of heart. It can take a homegrown IEP three to five years to break even and begin to turn a profit. Growing pains are inevitable. 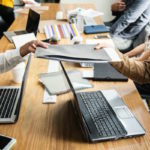 IEP students must be recruited, which may be a new activity for the institution or represent a different market than students recruited before, unless the private provider is responsible for the function. Private providers can take on the financial risks, but the quality issues are borne by the host institution. 4. Great care must be taken to ensure that IEP students are successful. Academic faculty will be rightly concerned if students coming from the IEP do not as a whole do well in academic classes. Academic success is dependent not only on the classroom, but also on support services such as advising, housing, community and campus involvement and a number of other non-academic functions. This is particularly true if the institution receives a large burst of enrollment created by a private provider located on campus. Regardless of whether the IEP is run in-house or by an independent entity, student success is essential. 5. IEP students have different needs than academic students. As a whole, IEP students tend to be younger, less academically accomplished and more diverse than college-ready students. The IEP curriculum needs to recognize this, and services need to be in place to take care of their needs. Chinese partner high school students eager to join Green River College’s Intensive ESL program.